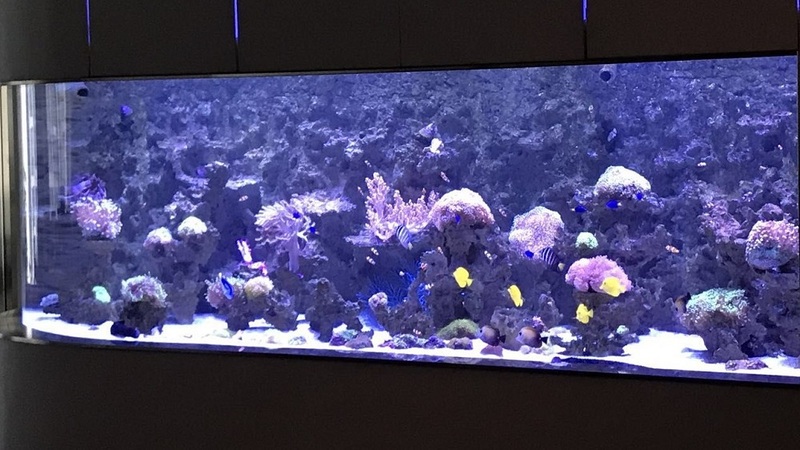 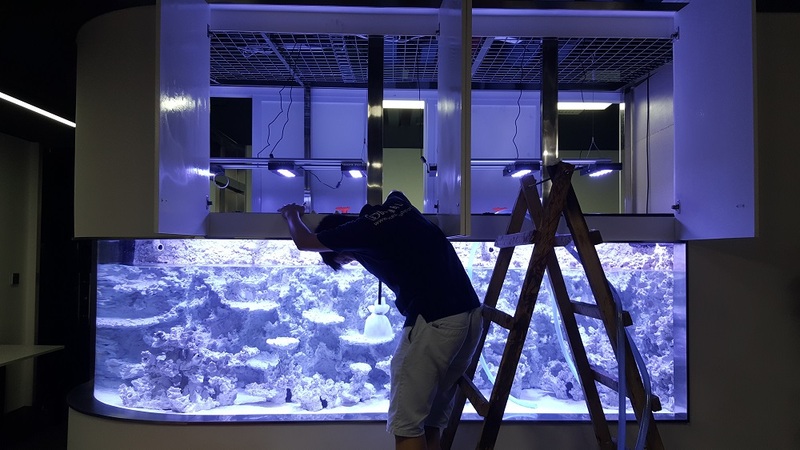 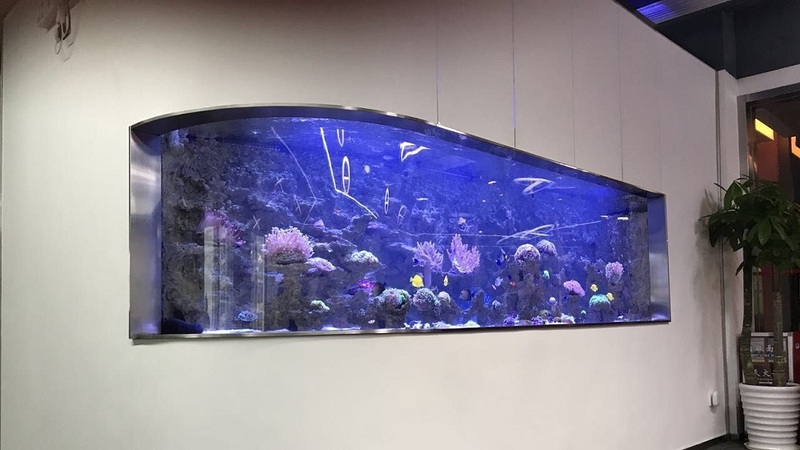 OceanBuilder installed a 3-meter long reef aquarium for EDS Office in Guangzhou, we used acrylic tank instead of glass tank as it has higher transparency. 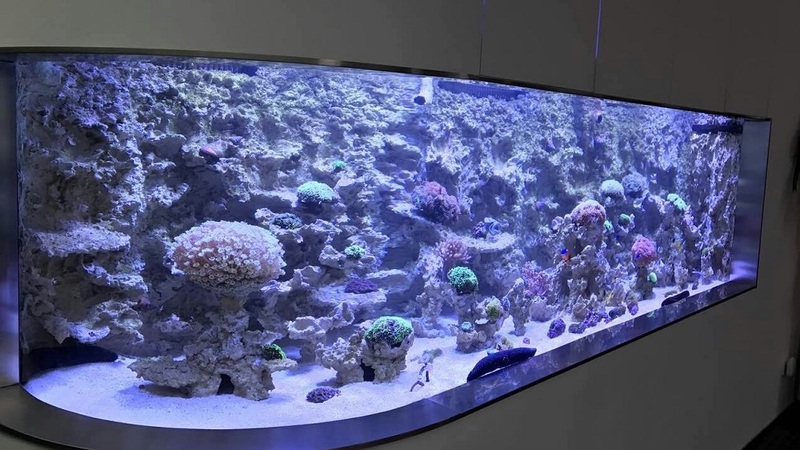 Our client would like to have a long aquarium at the foyer; however, the building has limitations on transporting large parts; to meet the environmental constraints and client’s expectation on long aquarium, OceanBuilder partitioning the whole aquarium and do the assembling on-site with seamless technology. 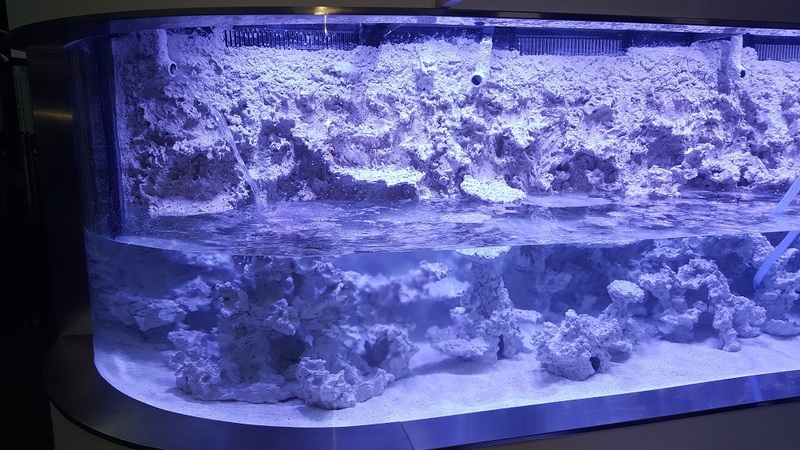 Background ceramic artificial environment is specially ordered from Germany, and handcrafted to mimic real reef environment by craftsmen. 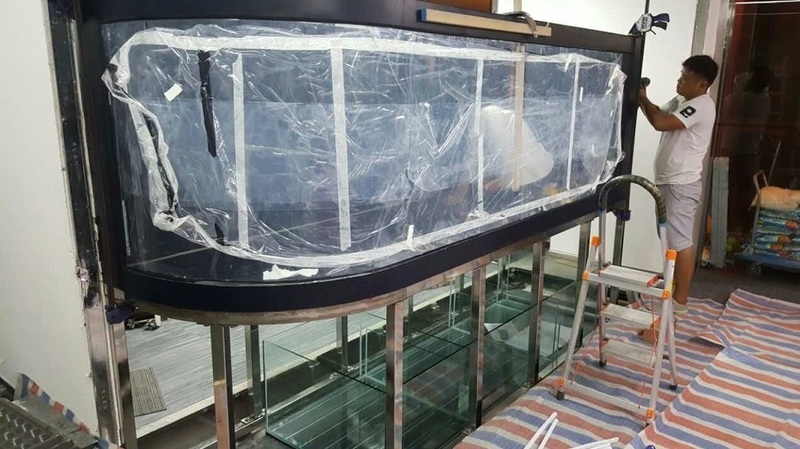 Special thanks to Le Comptoir introduced us.